Beautiful Hand Enameled Pendant, it stands own on its base. Image shows all sides of the pendant. 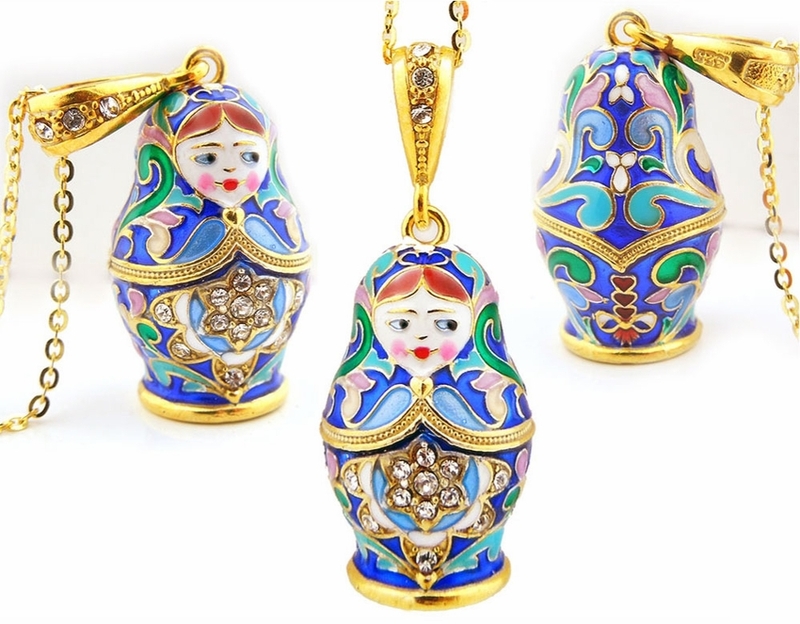 Great addition for Matryoshka lovers. Size including bail 1 1/2". Chain is not included.